Prism Executive Recruitment is a market leading executive recruitment firm. Our award winning team are specialists in the sectors they recruit for. We’ve successfully filled numerous management consultancy vacancies for a diverse client base. We offer a range of employment solutions depending on our client’s recruitment needs. 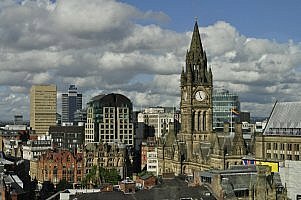 Our management consulting and executive vacancies in the Manchester area are listed below. We specialise in finding top consulting talent for management consulting and professional services firms, large corporates and PLCs, niche businesses and boutique consultant firms. We have built up strong relationships with our clients operating in Manchester, which is shown in the vacancies we are recruiting for in this area. Prism sources candidates from our extensive network of exceptional management consultancy talent for vacancies requiring high-calibre professionals. We are a leading management consultancy and executive recruitment firm, and have won awards for our work. Review our current vacancies below or click here to register with Prism. We update our management consultancy job listings regularly. Review our current vacancies below or click here to register with Prism.